A “House For Sale” sign is in a lawn. Long ago the pilgrims settled in Massachusetts as one of the 13 colonies. Land was plentiful and the people that settled made it their home. As more people came to settle in the colonies, it resulted in friction and wars over the rightful ownership of the land and who would eventually be allowed to own the deed for it. These days, land and housing in particular may be fought over in real estate wars. 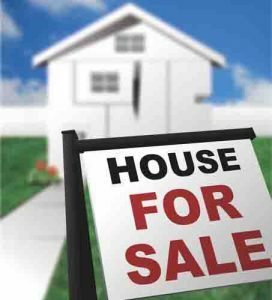 The real estate market in certain areas of Massachusetts has a very limited inventory of houses for sale, and may require a “bidding war” between potential buyers. This often results in a bigger chunk of a home buyer’s income to live in a city such as Boston. Instead, buyers may need to look in towns and cities in the eastern part of the state for more affordable housing and to find it a little easier on the pocket book. Home buyers need to be prepared prior to making an offer on a house, condominium or townhouse, and have a pre-approval letter from a mortgage broker or lender. The mortgage broker or lender will look at the buyer’s credit reports, employment history and income. This determines the amount that can be borrowed for a mortgage loan and the interest rate that may be offered. Mortgage brokers play a large role in the process of obtaining a mortgage loan for real estate purposes, and are required to be licensed if they receive compensation for mortgage related services. This includes assisting with mortgage loan offers, placement of loans, negotiation of loans and the finding of mortgage loans for residential property in Massachusetts. Mortgage brokers as a license requirement must also obtain a $75,000 surety bond. The surety bond ensures the faithful performance of the mortgage broker, officers and employees to fulfill all written agreements or commitments, and to correctly and accurately account for any funds received by the client. Massachusetts mortgage brokers can get the surety bond they need from SuretyGroup.com to meet the state license requirements. We offer low rates and can quickly upload your bond into the National Mortgage Licensing Service (NMLS) system. Email info@suretygroup.com, apply online or call our Surety Bond Specialists today at 1‑844‑432‑6637.